Social networks went into a virtual meltdown on late Wednesday and into Thursday as news of the death of founder and former CEO of Apple, Steve Jobs, spread around the world. In China alone more than 35 million messages were posted on microblogs while around the world millions more posted to Twitter and Facebook. Hashtags of #jobs, #stevejobs and #apple were top trending subjects and Google trends also showed a sharp increase in searches for Steve Jobs. Even in the physical world there was an outpouring of grief following the passing of the Apple founder. Outside Apple stores in Beijing [twitpic.com] and Hong Kong [yfrog.com] flowers were laid by fans of Apple products. And in a mark of respect the store in Hong Kong also shut off the illuminated Apple logo [instagr.am]. For the Chinese in particular, the passing of the Apple founder is a shock [techrice.com]. Chinese youth have begun to embrace technology in a big way over the last few years and an iPhone is a much coveted item to the extent that there is a massive market in fake iPhones for those that can't afford the real thing. In fact in the last few days there are already reports of fake iPhone 5s on sale in parts of China ahead of the official release in the west [Sky News]. Steve Job's death was the top item on most news channels including Sky News, BBC, CNN, France 24, Euronews, Al Jazeera and Xinhua's CNC. Business channels CNBC and Bloomberg also focused on the passing of Apple's founder and what his death might mean for the future of the company. 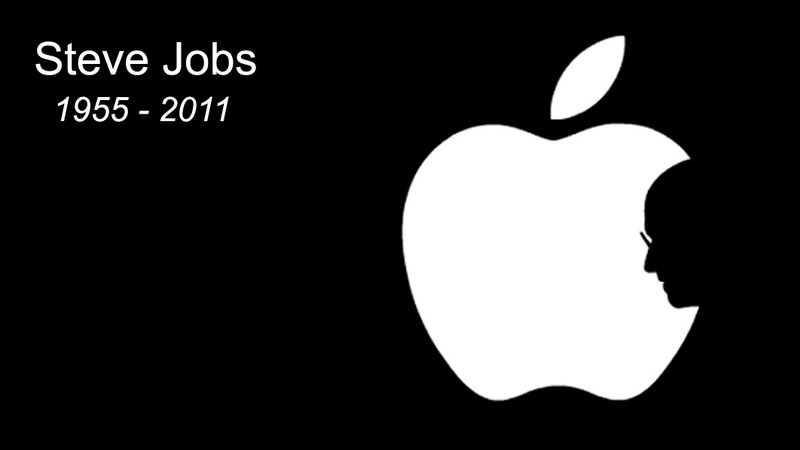 Such interest is an indication of the impact Jobs and Apple has made to the world of technology. His legacy is not only his vision in sleek design deployed in his Apple computers and laptops but also the innovations made in mobile phone technology and in personal entertainment. The iPod changed the face of how people listened to music and the iPhone has brought many imitators and set the standard for smartphone technology. The relatively recent launch of the iPad has also changed the face of mobile computing with competitors launching their own devices. While there has been criticism of Jobs' walled garden in the way he controls apps made available for his iPhone as well as the methods deployed in his music distribution through iTunes, without Apple there may not have been an Android phone. Even his imitators and competitors paid tribute to Steve Jobs. Microsoft's Bill Gates talked of the "profound effect" Jobs' had made to the world of technology. Even Google's founders Sergie Brin and Larry Page left their messages of condolence. In a post on Google+ Sergie Brin spoke of the inspiration that Apple gave him. "From the earliest days of Google, whenever Larry and I sought inspiration for vision and leadership, we needed to look no farther than Cupertino. Steve, your passion for excellence is felt by anyone who has ever touched an Apple product (including the macbook I am writing this on right now). And I have witnessed it in person the few times we have met. On behalf of all of us at Google and more broadly in technology, you will be missed very much. My condolences to family, friends, and colleagues at Apple." The tributes came from as high as the US president with Barack Obama saying the world had "Lost a visionary." Apple co-founder Steve Wozniak spoke of a pretty solid legacy left behind, but there are some doubts for the future of the company. Fans of Apple products outside a store in China wondered whether Apple would remain number one in the technology market. Such concerns could also be seen in the markets. In Germany shares in Apple fell as much as 2.5% after the announcement of Steve Jobs' death [Business Week]. On the day he died at the age of 56, exactly six weeks after resigning as CEO of the company he co-founded, Apple was the second-most valuable company in the world. Following Tim Cook's appointment as Apple CEO on August 24th, shares have increased some 9.9%. But it remains to be seen whether such growth will be maintained [Money MSN]. One American fan of Apple products was optimistic for the company's future. Speaking to Sky News outside a store in London he said, "When Jesus died religion didn't stop." The future lies in how much a part of Apple Steve Jobs was and whether he left behind a team that has the same sense of vision and passion for innovation.